Ever wished that a refreshed sense of joy and spiritual purity was as easy as flipping a switch? 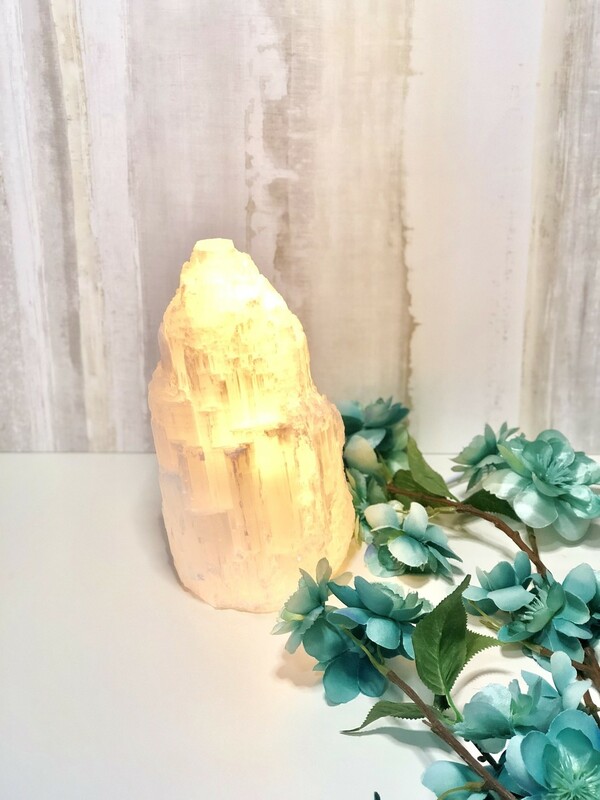 This Selenite Lamp is what you’ve been wishing for! Light up your spirit and space with the pure, luminous energy of a Selenite Lamp. Place it in a central location in your space to it can constantly clear, purify and bring in light. We like to have our in the office, living room, bedroom and sacred space—but you can really place yours anywhere! This lamp is only available for PICK-UP due to high shipping prices.